1. 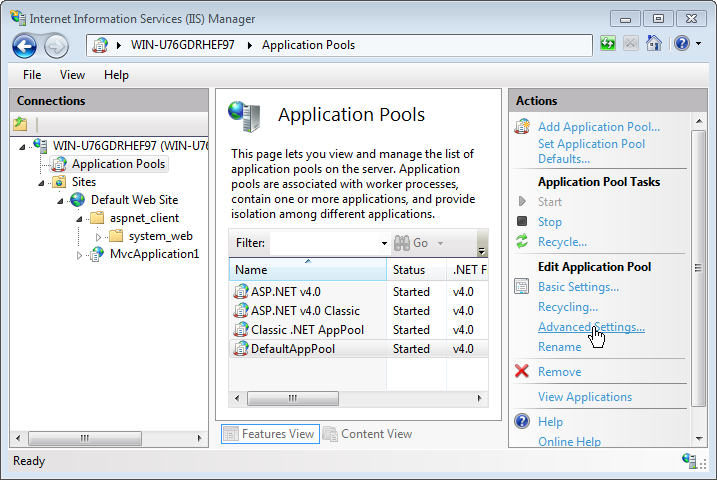 Enable profiling for w3wp.exe. a) Find the application pool for the app. 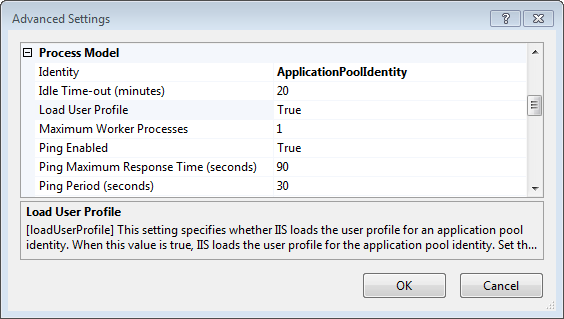 b) Enable user profile loading for the pool. c) Find SID of the pool account. 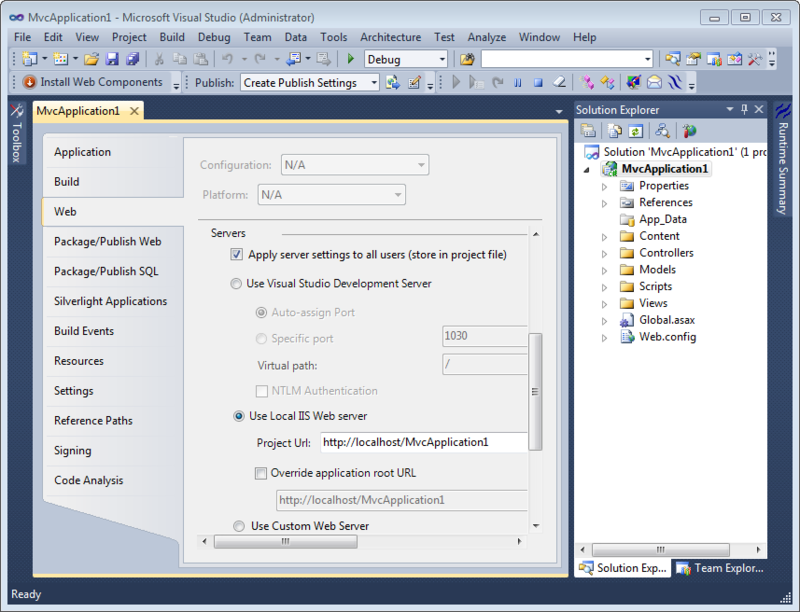 d) Set environment variables to invoke Runtime Flow profiler. 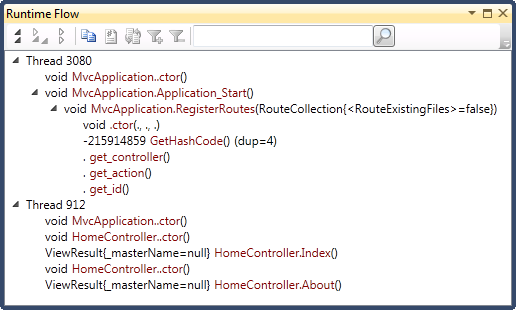 Note that if you use IntelliTrace it can overwrite these registry values. 2. Close all running w3wp.exe processes. In IIS Manager restart server. Update (July 28, 2018): For Windows 7 SP1 you may need to additionally edit the applicationHost.config file. 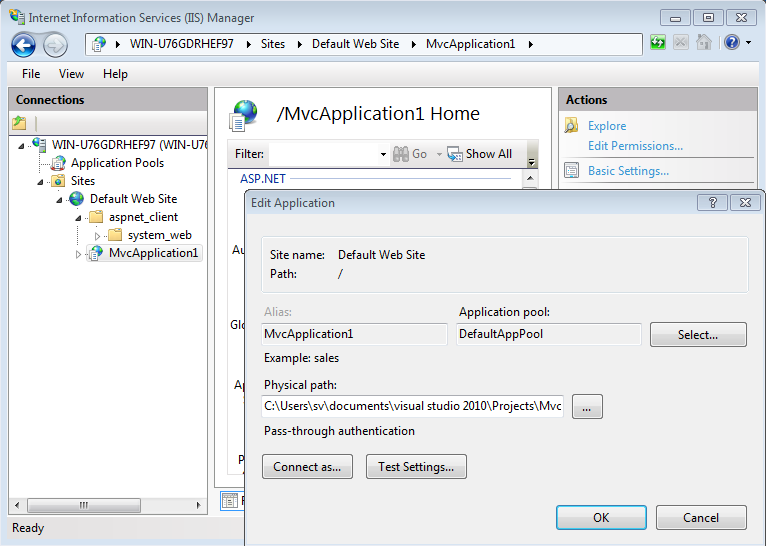 See How to configure environment variables in an IIS 7 application? for details.